A definition of prayer is the raising of the heart and mind to God. Mostly from childhood we are taught to pray with the mind, to ask God for what we and others need. Meditation is the prayer of the heart. It is a prayer of faith. In silence we accept that God knows our needs. We learn to meditate by letting go and learning to be. An ideal way to learn to meditate is with a group. Collectively we seem to strengthen and support each other. 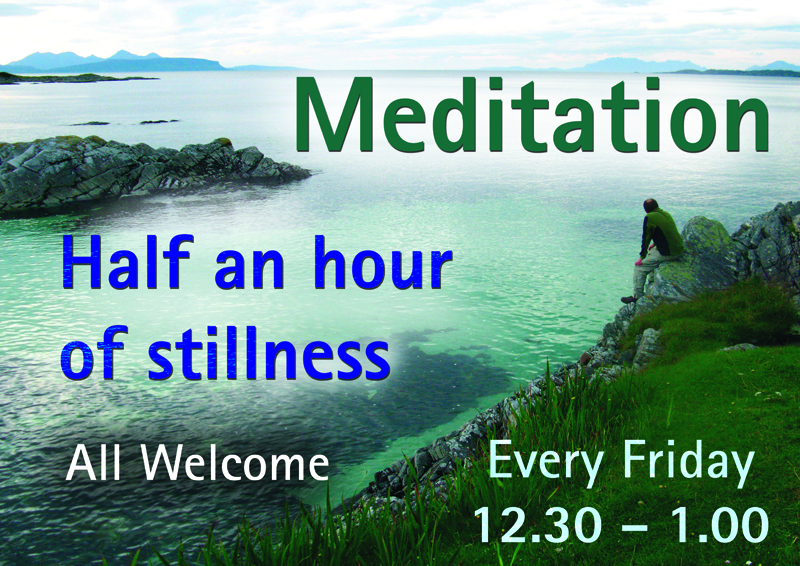 Our group meets in our church from 12.30 – 1pm every Friday. 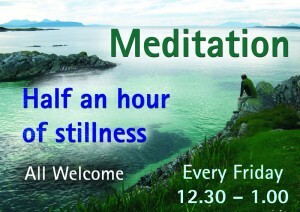 Our routine is to listen to a short introductory theme, meditate for 20 minutes, then finish with a short prayer. This meditation seems to meet the needs of many modern people in their search for a deeper spiritual life. Please come and join us.